Attention Walkers! 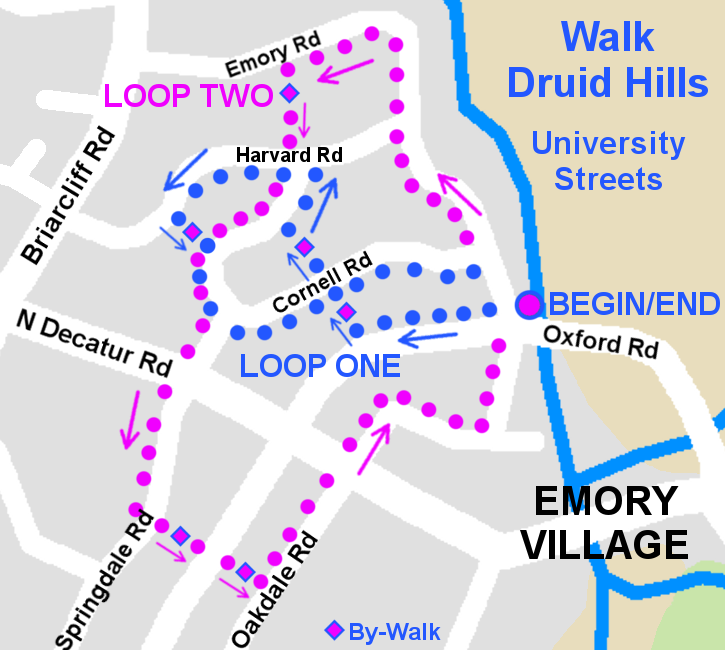 Please join us as we stroll the University Streets neighborhood of Druid Hills on Saturday, December 10th at 9:00 AM. We will explore several of the "by-walks" and hear about many of the historic homes throughout the neighborhood. The walk totals just under 3 miles and includes some stairs and uneven sidewalks. We will begin at the corner of Oxford Rd and Emory Rd, just north of the big roundabout in Emory Village; park along Emory Rd., north of the intersection.